A week(end) for the Renaissance men and women of Shanghai. 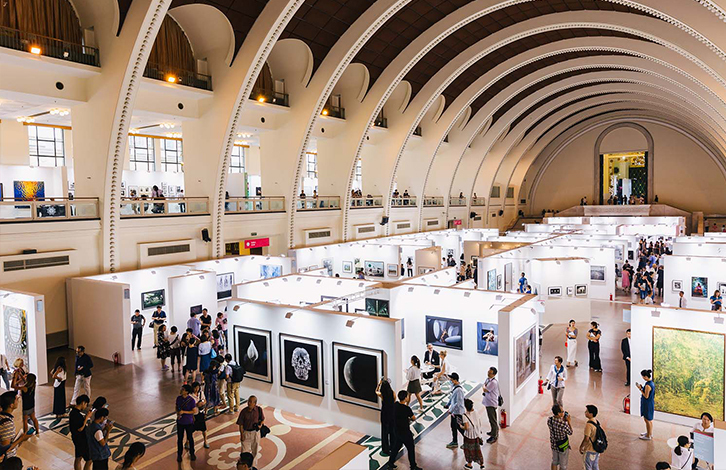 Lots of art to ponder at Photofairs, lectures for your brain from Crossroads China and M Talks, a day trip to Yangcheng Lake with Runnershai, and a chance to learn more about tea (finally!). Put on your glasses and lace up your most expensive boots, this one's for you. GoEast is offering a free class on the six categories of tea in China. Six! There'll also be some tea anecdotes and tea fun facts. Tea stories! It's going down tonight from 7-8.30pm. The next lecture in the China Crossroads series brings Ioana Kraft, the General Manager of the European Chamber of Commerce in Shanghai. She'll discuss the results from the '2017 Business Confidence Survey. Kinda a big deal. The talk starts at 7pm, at Cafe Sambal. Costs 80rmb for admission. Photofairs Shanghai returns to celebrate photography in all its glory. It's opening Thursday and will stay up weekend at the Shanghai Exhibition Center. The sole focus here is on photography with works from Robert Mapplethorpe, Ren Hang, and more. Get your tickets here. Here's an idea for people who like to run (masochists), Runnershai is organizing a day trip to Yangcheng Lake for a half marathon (10k). Run by lakeside scenery and quaint fishing villages in the area. Costs 425rmb with round-trip transportation, and also includes a lunch buffet and access to an outdoor pool. 375rmb without transportation. M Talks China is a lecture series hosted by M on the Bund, this month Professor Guy Alitto will be discussing his works on Liang Shu-Ming and the 'Chinese dilemma of modernity.' High-brow stuff. Talk starts at 4pm on Saturday and costs 85rmb, but 40rmb with a student ID.